"Dad is doing much better and currently they are planning to release him today. i will travel to Kisumu to transfer him from the hospital to Wigot Gardens, a very nice rural guest house out of town. he is to be on O2 but MJ reports other than his continuing cough he is doing well, just still quite week. "We are not sure just what his travel plans will be as we should get that today. He and MJ will stay at Wigot Gardens until they return home. the travel into the bush is just to hard on him." Sue, sister of Betsy Starner; Sue has been diagnosed with Parkinson's . Please pray for comfort and strength. Daniel Hill. Please pray for guidance in choices and health. Pastor and Jovy are hoping that a nurse has been found who will serve God's purpose in caring for Amber. They will interview her on Sunday Feb 10. Kylen Taylor will be released from jail on Mar 7. Please pray for him to accept Christ and also to find a job and take control of his life.Dad is doing much better and currently they are planning to release him today. i will travel to Kisumu to transfer him from the hospital to Wigot Gardens, a very nice rural guest house out of town. he is to be on O2 but MJ reports other than his continuing cough he is doing well, just still quite week. We are not sure just what his travel plans will be as we should get that today. He and MJ will stay at Wigot Gardens until they return home. the travel into the bush is just to hard on him. 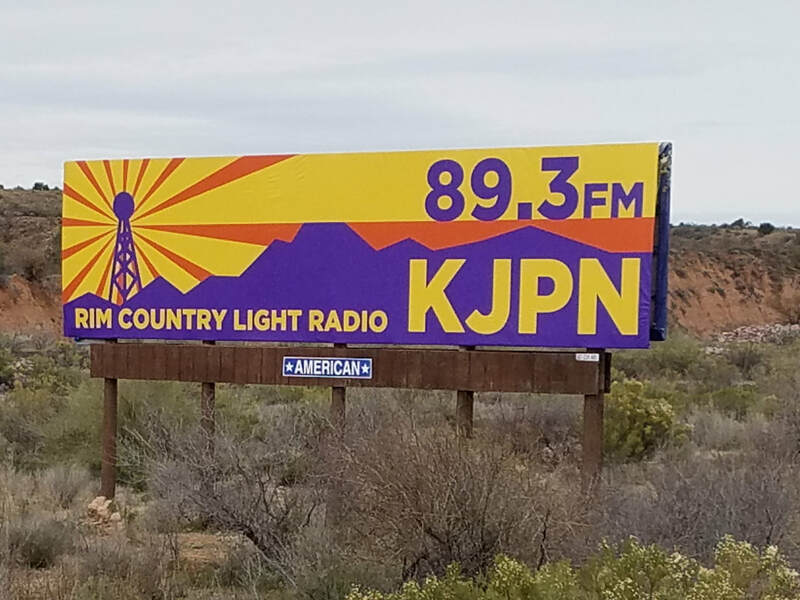 Our new sign for KJPN Radio is up at Rye!